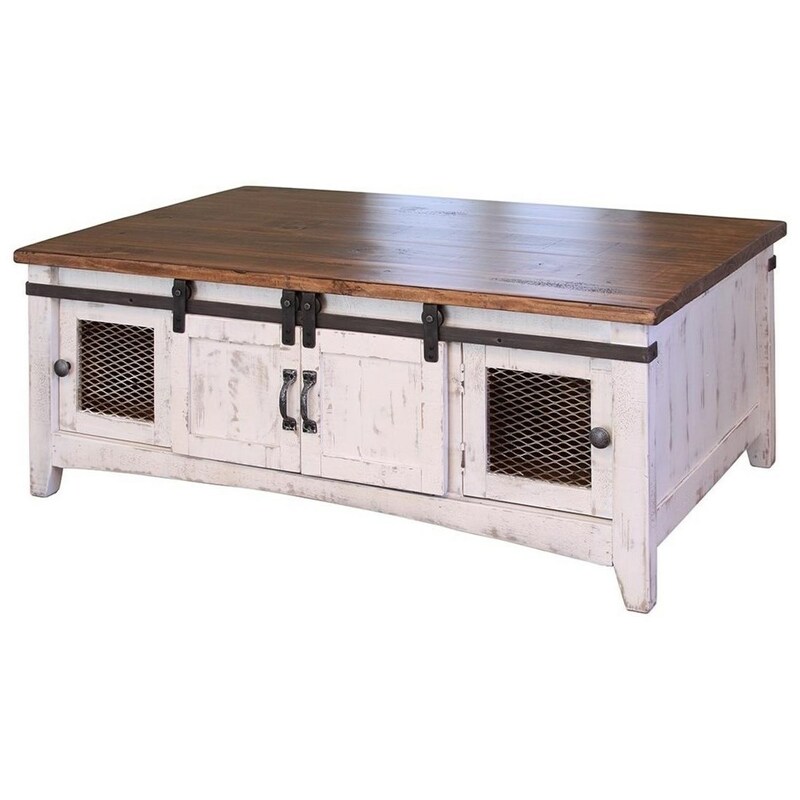 The Pueblo Rustic Cocktail Table with Mesh Panel Accents and Sliding Doors by International Furniture Direct at Miskelly Furniture in the Jackson, Pearl, Madison, Ridgeland, Flowood Mississippi area. Product availability may vary. Contact us for the most current availability on this product.